I found this recipe from Slash foods which looked interesting. An improv Shrimp Curry, essentially a low fat shrimp curry. 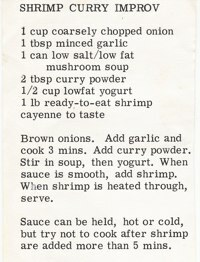 I followed the recipe closely except I used about 2 1/2 tablespoons of curry powder and a can of fat free mushroom soup, I also used raw shrimp and put it in the mixture and stirred till the shrimp was cooked. Overall this is a pretty good recipe. Its thick and holds the flavor fairly well. Its not quite the same as normal curry mostly because the yogurt does have a slightly tangy taste. I did find that the improv curry (like normal curry) tasted even better the next day. Don't ask me why this is, but curry always tastes better after leaving it overnight. All in all, its a recipe that I'll definitely make again. So I was going to clean the hamster cage this morning and low and behold what do I find? Kyle, one of my 2 hamsters is dead on Christmas Day. 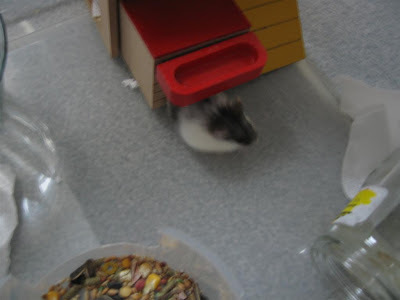 What's even worse is that I kind of ignored my hamsters for the past couple of days, aside from giving them food. Last I saw them was Sunday night and now its Tuesday. I have 3 theories on how Kyle died. (1) Natural Causes (2) He lost a fight with Kal-El. The thing is if you look at the picture, his face is pretty banged up. Its basically been chewed and his teeth and gums are showing. I don't know which is worse, thinking that Kal-El murdered his house mate of over a year or that he chewed on his dead house mate. And how did I find Kal-El? He was happily sleeping, not a scratch on him. Anyway, I cleaned out the their home and I have to admit that I harbored thoughts of punishing Kal-El, but... what can I do which won't cause me guilt? So throughout the day I had nagging thoughts of could I have prevent this in some way? Perhaps if I paid them more attention or something. This marred a perfectly happy holiday. I may not be the best pet owner but I do feel some attachment to my hamsters, and I'll admit that Kyle was my favorite. Merry Christmas Everyone! Here are a few christmas tunes. Did I mention that my Christmas tree died last year? Its one of those pre-lit ones and the lights went out. I had that tree since 2004 and it will be missed. So I got a new tree this year, but I made a mistake, I got a 3 foot tree. I'm single and don't really need a big tree, but a 3 foot tree as I found out it really tiny. It just didn't feel like a tree, more like a Christmas Shrub. So I got a 2nd tree, this one was 4.5 foot and much resembled my previous tree. I also got one of those huge colorful tins of popcorn. Mostly because it was on sale (Only $5) and they are so pretty. Anyway, the popcorn is gone now and I still don't know what I'll use the tin for. But regardless, its still pretty to look at. Yes! I got myself an XBOX 360 for christmas. I'm a life long gamer but I'm held off buying a 360 because they just didn't make games that really appeal to me. 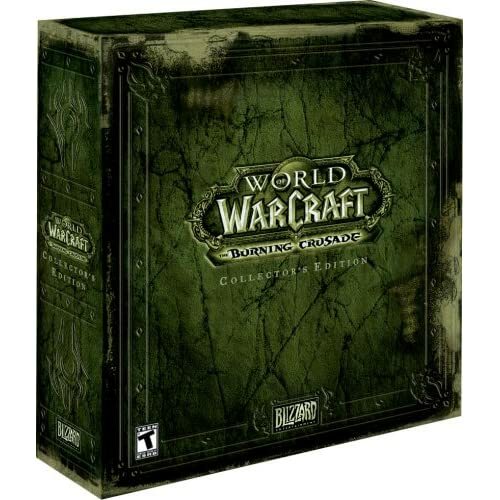 I'm a big Role playing game person (RPG) and the 360 seems geared towards the First Person Shooter (FPS)crowd. So what made me change my mind? MASS EFFECT ! A little game company called Bioware created an RPG called MASS EFFECT that had me drooling for the past year now. 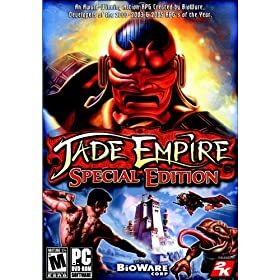 In case you don't know Bioware also created Knights of the Old Republic, Neverwinter Nights, Baldur's Gate, and Jade Empire. So for the past weeks since Thanksgiving I've been hearing left and right on gaming blogs, podcasts and gaming news about how awesome the game is. My main stumbling block was the cost ($350). Not that I can't afford it myself but ... I'm cheap. Thankfully I got an advance Christmas and B'day gift from Eins which helped to supplement the costs and the result is I've been having a BLAST the past 2 night and fully intend to hole up for the next 4 days playing Mass Effect. Did I mention I got God of War as well? I'm about 9 hours in Mass Effect and loving it to bits but as an RPG it tends to be a little story heavy. God of War is a simply brainless action game and balances Mass Effect perfectly. I know its an older game but I finally decided to give it a try and I must agree with others that its an amazing game. 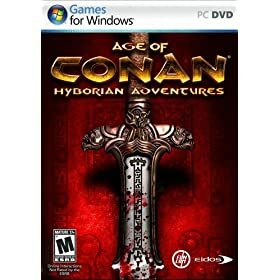 Even though I'm terrible at action games this one has an easy mode and the level design and puzzles are simply stunning. 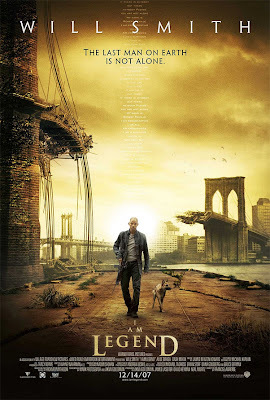 I am Legend is actually a remake. The first time the movie was called "The Last Man on Earth" in 1964 and starred Vincent Price, then it was remade as "The Omega Man" in 1971 starring Charlton Heston. And now in 2007 "I am Legend" starring Will Smith. The story based on a book published in 1954 is basically about Vampires. Essentially, an apocalypse caused by man manipulating bacteria, which causes people infected to suffer from the symptoms of which are very similar to vampirism. Sunlight burns them, they eat flesh and blood etc. Of the whole world there is only one survivor and the story unfolds there. The thing that makes this story unique from other vampire novels is the ending. The Will Smith version of this movie in set in New York and updated so that it makes sense in today's world. The ending is vastly different from the original book (See the Vincent Price version for a more accurate version of the book). Will Smith is immune to the virus which is now air-borne, and on a quest to find a cure for the virus. Oh did I mention that he's in the military and also a scientist? Hence his being able to fight and survive the vampires (who don't come out in the day) and work towards a cure. His only companion is his faithful dog. I won't give away what happens later in the show mostly because the ending is what makes the show interesting. But I do hope that people will stop remaking this movie. Truthfully, it was semi-decent novel in the 1950's simply because they didn't have much in the way of horror. But in today's world the plot is a little thin. Don't go in expecting a epic movie like Independence Day. Like I said despite a strong performance from Will Smith, its just him and the dog for about 3/4 of the movie. I give this one a 4/5. But I would also say that while its worth a watch, don't knock yourself out to go watch it. PS. Will Smith is 39 this year and OMG he's in fricking amazing shape. In "I, Robot" we were all blown away when he did the shower scene, but in "I am Legend" there's an extended workout scene and like I said he looks even better. Who'd have thought that this is the same guy from "The Fresh Prince of Bel-Air". Yes, the next Broadway Musical to become a movie is Mamma Mia. This is where my gay gene rears its head. I love ABBA, always have since I first heard them on the radio and always will. I was highly skeptical about the broadway musical when I went to see it a few years ago, but I was sooo wrong. The story itself is nothing amazing or clever, but it allows a simple story to be told using ABBA songs and it does so very well. If you've ever liked ABBA, you have got to watch it. Its about a young girl who grew up in a beach town with her mother. She's engaged to be married and also discovers from her mother's old letters that her father could be one of 3 men. She pretends to be her mother and invites all 3 men to the island. The fun starts when her mother unknowingly meets all 3 men and even more confusion when all 3 think they are her father. The movie version stars Meryl Streep, Pierce Brosnan and Colin Firth. From the trailer just released, I can't wait for this one. I love Rita Moreno and today she turns 76. If you watch television you MUST have seen her. She's had a long and successful career on TV, film, broadway and has won an Oscar, Tony, Grammy and two Emmys. But you know what I most remember her from? The Electric Company. In case you didn't hear, this show cost a whopping $180m to make, but opening weekend it grossed only $23m in the US. What this basically means is that unless The Golden Compass is able to take the international audience by storm, its gonna be among the biggest flops of 2007. The movie stars Daniel Craig and Nicole Kidman and seems to be following in the footsteps of Lord of the Rings and Harry Potter, going for lavish sets and backdrops that are simply amazing. The story is set in a parallel universe where instead of having souls, people have animal companions that are essentially their 'Souls', Expect these companions take a specific animal form and can talk as well. The world is ruled by a religious organization called the Magesterim (think the Catholic Church in the middle ages). They are trying to enforce their beliefs to everyone and squashing all other opinions. A young girl called Lyra Belacqua is the child of prophecy who will usher in a new era, so naturally she's in danger. That's mostly it in a nutshell. The movie is based on the books by Philip Pullman and is a trilogy. This first movie deals with young Lyra's journey to the far North to save her best friend whom she fears has been kidnapped by a powerful and secret organization. I enjoyed this movie, but then again, I looked upon it as a sci-fi fan and was not offended at the unique souls concept the movie introduces. I would rate it as being a epic fantasy on par with Lord of the Rings but geared towards children/teens so it's not as emotionally in depth. That said it definitely worth a watch, however I seriously question the $180m price tag. There is no way this movie outshone Lord of the Rings which cost individually only cost about $94m each to make. My biggest gripe with this film is the ending. Although meant to be part 1 of a trilogy, the ending leaves the viewer hanging. If you take any of the Potter books or Lord of the Rings movies, the individual shows ended after some epic happening and although you know the story had not ended, there was closure. 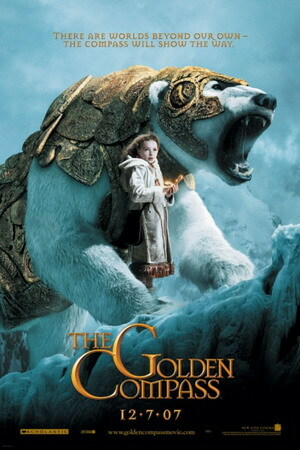 The Golden Compass however ends and leaves the viewer feeling slightly cheated, the epic battle wasn't all that epic (at least to me) and there was no sense of any closure. I give this movie a 7/10. Oh and given the numbers, looks like I'll have to read the books to find out what happens to little Lyra. Having just come back from Singapore its fun to note that the weather in Minneapolis is ... snowy. We had a snow storm this last weekend (about 6-8 inches). nterestingly enough, I think is this one of the earlier snowfall's that's hit Minneapolis in the past 5+ years. Well its snowing again today, its been snowing the whole damn day and the drive home that usually takes 45mins - 1 hour took 3 hours tonight. Its days like today that I'm glad I don't have to shovel anything, that's why I pay a monthly association fee. Below is a picture of what the snow looks like outside. On an unrelated topic, I bought a new humidifier from amazon, mostly cos it gets real dry in the winter. Its sooo cute.